One of the most popular questions that Seagate receives, on almost a daily basis, is: “what supplements should I take so that I can be healthy”. While eating right and taking the correct supplements are important as part of the overall picture of maintaining good health, the single most important factor that you control, (that can reduce cardiovascular disease by 70%, the number one killer of Americans) — is the amount of exercise that you do on a regular basis. Swimming is just one choice. However, it provides the best non-impact aerobic exercise that will affect almost every muscle group in the body. 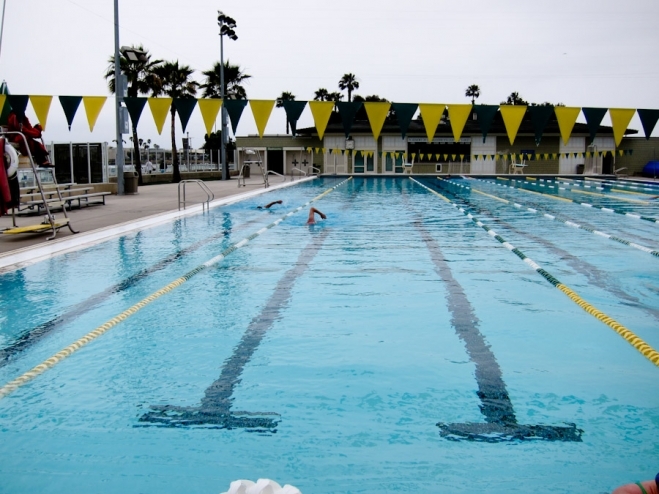 Depending upon your speed and body size, you will burn between 500-1,000 calories per hour by doing laps. Regular daily exercise can reduce high blood pressure, will burn up some of the excess sugars/carbs, and will help you to lose weight. No one swimming in this pool today who visits here on a regular basis appears to be overweight. As we age and the likelihood of heart disease increase, it is even more important to get out and move those body parts. Pat - I am a Personal Trainer and a retired health care professional.Regular exercise and good basic effective supplementation, along with a diet that balanced along with the lifestyle will give one a healthy heart.We are fortunate to have Seagate products to add to our daily supplements to provide quality and effectiveness.I utilize the Olive Leaf Extract, the Lycopene, the Pomagranite and the new Lemon powder capsule.Just a little research and help from the makers of these products is a good place to start..take a walk..eat good fresh food and make sure supplements are what is needed for ones indivdual make-up.